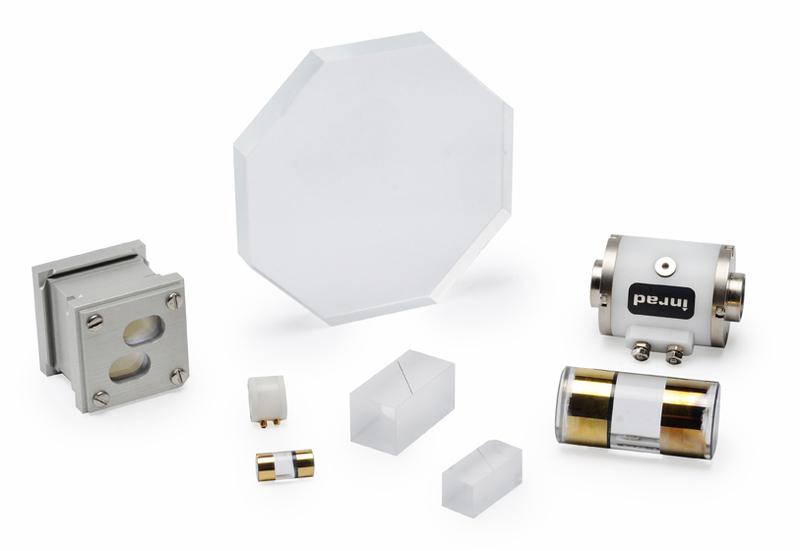 The choice of a suitable crystal for a given electro-optic application depends on operating wavelength, laser beam size, damage threshold, average power handling, contrast ratio, extinction ratio and repetition rate. KD*P crystals are routinely used for Q-switching applications at wavelengths from 290 nm to approximately 1.1 µm. KD*P Q-switch crystals are available with large apertures suitable for beam diameters in excess of 20mm. LiNbO3 crystals are primarily used in the infrared from 1.0 to 4.0 µm. With an electric field applied transverse to the direction of light propagation, LiNbO3 cells can be configured to operate at a lower voltage than comparable KD*P cells. MgO:LiNbO3 crystals offer similar optical and electro-optical properties to their undoped counterpart and are less susceptible to photorefractive damage and pyroelectric charge build-up. BBO crystals target operating wavelengths from 266 nm to 2 µm. BBO crystal handles high average powers better than either KD*P or LiNbO3. BBO is less susceptible to piezoelectric ringing than KD*P and LiNbO3, thus making it a good choice for high repetition rate applications. The primary disadvantage to using BBO is the relatively small electro-optic coefficient, which means that BBO quarter wave voltages are typically higher than those in LiNbO3 and KD*P.